We already know that Google is working on a new iteration of its Google Glass headset, but judging by a filing to the Federal Communications Commission in the United States, it appears that the next-generation device is already in the testing phase. But it's not just the 'GG' that points to the Glass, its documentation also gives us details. It's not listed as a smartphone or a tablet or a media device, but it does have Wi-Fi, Bluetooth and a rechargeable battery. Software-wise, it appears on a rectangular display and there's a submenu that requires users to "scroll left and right" – like the last version of Glass. The future of Google Glass was up in the air after the company shut down the Explorer Program in January, and gave Glass its own division within Google with Nest founder Tony Fadell in charge. Google Glass was tipped to be the next big thing in wearable technology, but privacy advocates criticised the headset for its controversial ability to take photos and videos unbeknownst to others. 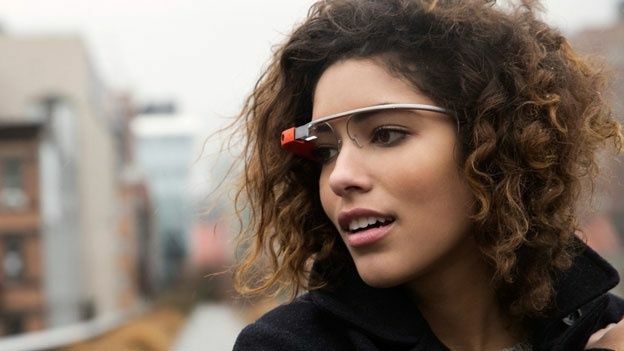 Head of Google Glass Ivy Ross previously said any Glass sequel would offer a beefier battery, better display and improved sound quality. Then in April, we heard from Italian eyewear manufacturerLuxoticca, which said it was working with Google on building two new models. Could this be on what they're on about? I'd say it's an optimistic maybe. But one thing is for sure; Google is definitely cooking up another Glass. What do you want to see from the next-gen tech-specs? Let us know in the comments or at the T3 Facebook page.